Flowers have always been praised by poets and they have been painters favorite subjectsÂ– how many times havent we seen a familiar renaissance painting having lotus, moonlight, lakes and lots of other flowers as there motifs? Moreover, flowers are a womans best friend second only to diamonds! They are also a scientists delight, there are new floral species being discovered everyday! Intrigued! Besides, the fresh cutflowers, artificial flowers and dried flowers are found to have been the best for gifting on various occasions as well as in decorating the home and office. How are flowers useful to us? 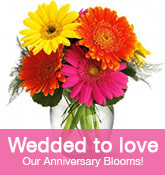 How to Select a Florist? Some flowers are eaten as an important part of a dish. Some others are used for adding flavor or color to a dish. 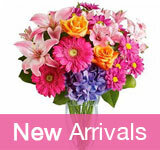 Cut Flowers : Cut Flowers are popular choices as gifts. 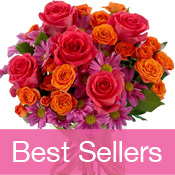 Cut flowers are used in fresh flower arrangements..
Rose : The most popular flower in the world. Rose is considered as the symbol of Love..